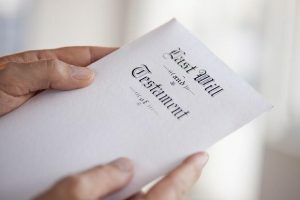 Usually when a person passes away, they leave behind a Will which specifies exactly what is to happen with all of their assets upon their death. The person that the deceased has chosen to administer their Estate is known as an Executor. The Executor is responsible for carrying out the wishes of the deceased outlined in the Will, and will sometimes need to apply for Probate. The term Probate refers to the process of proving in the Supreme Court that the Will is valid and is in fact the last Will of the deceased. It is often commonly referred to as making an application for a Grant of Probate. This application is usually made by the person named in the deceased’s Will as the Executor. Do I need to apply for Probate? There is no single answer for this question as in some circumstances it will be necessary for you to make an application for a Grant of Probate. Probate may need to be gained before anything can happen with the Estate. For example, an application for a Grant of Probate may be required when there is a dispute with respect to the provisions of the Will or if an institution such as a bank or insurance company requires that probate be obtained prior to releasing funds to the Estate. In some circumstances a Grant of Probate is not required (e.g. if an asset such as a home is held as joint tenants it will be automatically transferred to the surviving joint owner). It is very important to check with the organisation that you are seeking to obtain Estate funds from as to whether or not they require a Grant of Probate. It is important to understand that each individual situation is varied so it is highly recommended that you speak with our experienced team today. Typically, the Executor of the deceased’s Will is the person who is entitled to apply to the Supreme Court for a Grant of Probate. The Court will only issue the Grant of Probate when it is satisfied that the Will presented to the Court is the last Will of the person that has passed away. The Executor may also be referred to as the personal representative. How to apply for a Grant of Probate? You must advertise your intention to apply for a Grant of Probate in both the Queensland Law Reporter and in an appropriate local newspaper. You must provide a copy of the advertisement to the Public Trustee. You must wait for a period of 14 days after the advertisements have been placed to give other parties time to object to the grant of probate. Anyone wishing to object can file a caveat in the Court which will stop a Grant of Probate being given until that claim has been resolved. After you have lodged the documents with the application, the original Will and Death Certificate will not be returned by the Court. Therefore, it is very important to obtain a certified copy of the Death Certification or duplicate original from the Registry of Births, Deaths and Marriages. A copy of the Will is contained within the Grant of Probate. Once the application for a Grant of Probate is filed, the Court will consider the application. If the Court is satisfied, it will make an order for the Grant of Probate which could take between 6 and 8 weeks to be completed. The Probate process is very complex which is why it is recommended that you speak with a Lawyer who is experienced in this area. Contact our Wills and Estates team today to see how we can guide you through the Probate process.